So over the last week, there has been multiple products from VMware going live, and the most awaited one was the vSphere 6.5. 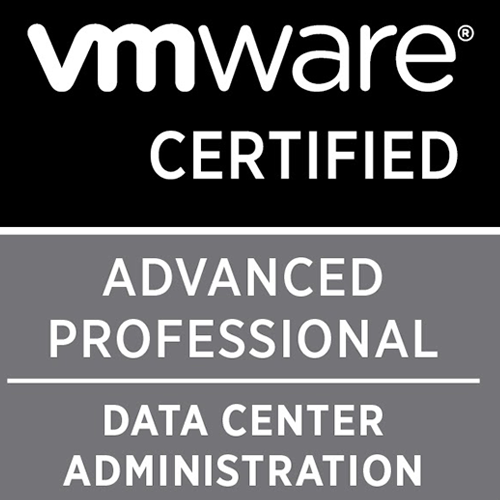 With vSphere 6.5, the add-on VMware products have to be on their compatible versions. This one is specifically dedicated to vSphere Data Protection 6.1.3. I will try to keep this post short, and mention the changes I have seen post deploying this in my lab. There is already a release notes for this, which covers most of the fixed issues and known issues in the 6.1.3 release. This article speaks only about the issues that is not included in the release notes. While using internal proxy for this appliance, the vSphere Data Protection configure page comes up blank for Name of the proxy, ESX Host where the proxy is deployed and the Datastore where the proxy resides. The vdr-configure log does not have any information on this and a reconfigure / disable and re-enable of internal proxy does not fix this. A reboot of appliance populates the right information back in the configure page. This is an intermittent issue and seen only during fresh deployment of the 6.1.3 appliance. The vSphere Data Protection plugin is not available in the web client. The VDP plugin version for this release is com.vmware.vdp2-6.1.3.70, and this folder is not created in the vsphere-client-serenity folder in the vCenter Server. The fix is similar to this link here. vDS Port-Groups are not listed during deployment of external proxies. The drop-down shows only standard switch port-groups. Deploy the external proxy on a standard switch and then migrate it to a distributed switch. The standard switch port group you create does not need any up-links as this will be migrated to vDS soon after the deployment is completed. VM which is added to a backup job comes as unprotected after a rename on the VM is done. VDP does not sync it's naming with vCenter inventory automatically. Force sync the vCenter - Avamar Names using the proxycp.jar utility. The steps can be found in this article here. This was seen in all version of 6.x even if none of the mentioned reasons are true. EMC has acknowledged this bug, however there is no fix for it currently. View logs from Task Failure tab, command line or gather logs from vdp-configure page. 2016-11-29T16:03:04.600-02:00 avvcbimage Info <16041>: VDDK:2016-11-29T16:03:04.600+01:00 error -[7FF94BA98700] [Originator@6876 sub=Default] No path to device LVID:56bc8e94-884c9a71-4dee-f01fafd0a2c8/56bc8e94-61c7c985-1e2d-f01fafd0a2c8/1 found. 2016-11-29T16:03:04.600-02:00 avvcbimage Info <16041>: VDDK:2016-11-29T16:03:04.600+01:00 error -[7FF94BA98700] [Originator@6876 sub=Default] Failed to open new LUN LVID:56bc8e94-884c9a71-4dee-f01fafd0a2c8/56bc8e94-61c7c985-1e2d-f01fafd0a2c8/1. 2016-11-29T16:03:05.096-02:00 avvcbimage Info <16041>: VDDK:VixDiskLib: Unable to locate appropriate transport mode to open disk. Error 13 (You do not have access rights to this file) at 4843. In VDP releases prior to 6.1.3 and after 6.0.x, the vdp-configure page provided an option to control how many backup jobs should run at a time. The throttling was set under the "Manage Proxy Throughput" section. However, this never worked for most deployments. Created a backup job with 5 VMs. 3 Iterations of backups were executed - Check Passed. I will update this article as and when I come across new issues / fixes that is NOT included in the vSphere Data Protection 6.1.3 release notes.